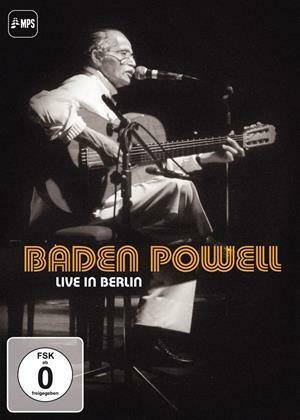 Baden Powell – his last concert! The Brazilian guitar-player, singer and composer Baden Powell was internationally one of the most famous and influential artists from Brazil. He created a unique style of Samba, Bossa Nova, Jazz and Baroque guitar. In the 60's he moved to Europe and recorded (next to many others) six albums for the MPS-label, which belong to his best-selling albums. Now MPS releases his last recorded concert from the year 2000. Baden Powell was invited to the Volksbühne Berlin to celebrate the 500th jubilee of the discovery of Brazil. The concert turned out to be one of his most emotionally shows ever. It was a huge comeback for Baden in Germany after a long break. The show should have been released right after the concert but Baden died a few months later and the idea got stuck in discussions. 15 years later all rights and legal issues have been cleared and we are finally able to release this special event on 3 - LP, 2-CD and DVD.